**Wai reviews Total Bellas (Season 3 Episode 9) as Brie continues to make the most of Nikki’s Paris bachelorette party. Daniel Bryan is finally cleared to return to wrestling. 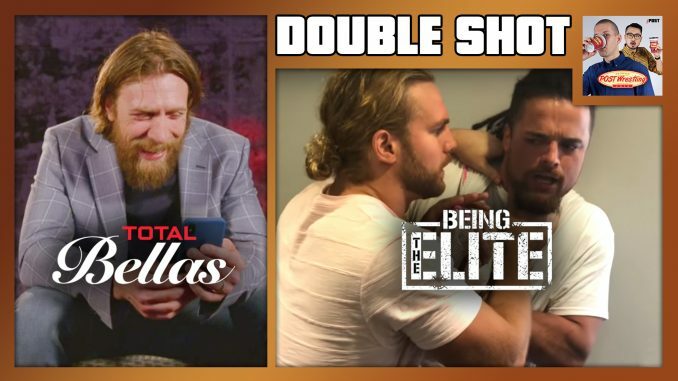 **Wai & John review Being The Elite (Ep. 112) featuring an ALL IN match announcement, Kenny Omega revealing an injury, Flip Gordon challenging for the NWA title, and more from Yujiro and Juice Robinson. **We also announce the winner of this week’s POST Production video contest where we ask for your best WWE-inspired Christmas t-shirt tag lines.